ellehermansen: KARVT : 100% Authentic Wooden Skins! 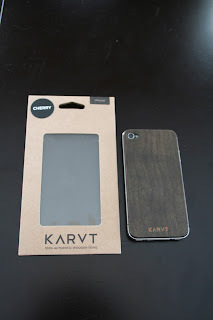 KARVT is my new love for pimping out my Apple products! I have come to love natural wood things and this was up there on my list since before Christmas! These pieces are made to order, so it took its sweet time to make it to my house - but they are so worth it! 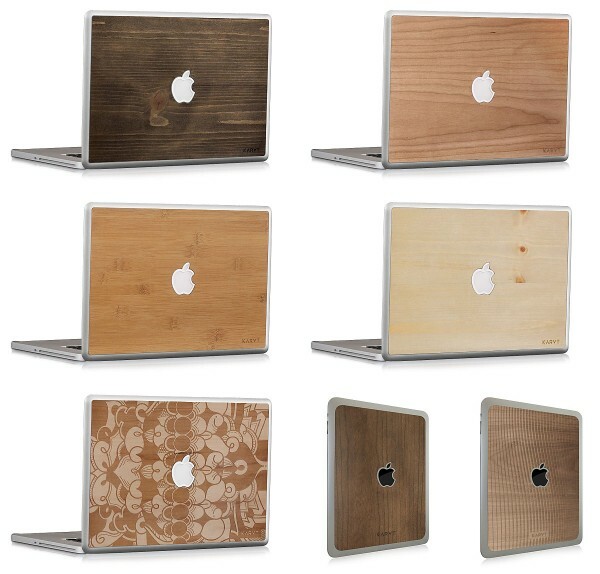 These skins are 100% wood and you can get them in any finish and type. For my MacBook Pro I got it in pine and for my iPhone I got it in cherry (also a wooden piece around the front screen). The thing that is awesome about these is that each piece is unique with different knots and characteristics throughout. You can even get skins for your iPad as well! I am just so impressed with the durability of this thin slice of wood on 3M sticky backing. They are SO easy to apply. Just center the apple and slap it on and voila! You got yourself some pretty swag! 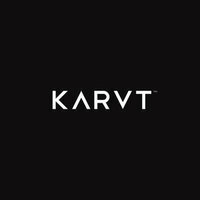 The quality of KARVT is beautiful and I highly suggest these products. You find the neatest stuff. Thank you! I really wanted something different than the last gelaskins which are also awesome and you can get for any system really! Check it out I wrote about it a while back. LOVE these products too!